While excitement continues to build for Monday's total solar eclipse, healthcare professionals are preparing for an extra busy day. The American College of Emergency Physicians (ACEP) reports that hospital emergency rooms (ER) along the 70-mile-wide path of the total eclipse, stretching from Oregon to South Carolina, are getting ready for an expected influx of patients. It's not that the moon blocking out the sun for a few minutes will unleash a zombie apocalypse, it's just that a huge number of people will be on the move. 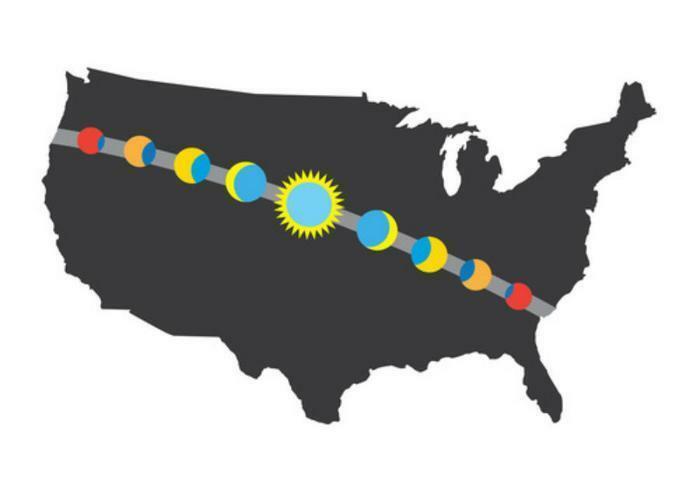 "I suspect there will be an increase in patient traffic to ERs, especially in areas expecting a large influx of eclipse-watchers, such as Oregon, Idaho, Wyoming, Kansas, Nebraska, Kentucky, Tennessee, South Carolina and Missouri," said Dr. Becky Parker, ACEP's president. "When a population surges, even temporarily, ER visits tend to rise. Anything out of the ordinary that shakes up a regular routine, like this eclipse, or daylight savings, can lead to more vehicle accidents. Be mindful of that." When the population of rural areas, connected by narrow, two-lane roads, doubles or triples overnight, the odds of more automobile accidents automatically goes up. ER personnel say much of their increased workload won't necessarily be caused by people looking at the sun without proper safety equipment, though that will no doubt be a contributor. Dr. Kirk Packo, Department of Ophthalmology chair at Rush University Medical Center, says the first widespread reports of sun damage to the eye occurred following a total solar eclipse that was visible in Europe in 1912. “People are excited to view this historical event — myself included. But history tells us that if they are not prepared, they can do lasting damage to their eyes,” Packo said. Here's the danger: when the sun is darkened people can look at it without the physiological reaction to close their eyes. But even though you don't feel it, your eyes are absorbing dangerous ultraviolet light. That, he says, will cause permanent damage to the retina. You can only look directly at the eclipse with certified safety glasses or filters. The products should have certification information with a designated ISO 12312-2 international standard. The products should have the manufacturer’s name and address printed somewhere on the product. According to NASA, even certified products should not be used if they are three years old or older, or have scratched or wrinkled lenses. The agency says consumers should not view the eclipse with homemade filters or ordinary sunglasses. Viewing products should also be purchased or obtained only from known, reputable sources.